Contractors should be aware of new regulations that govern the discharge of polluted waters. Silt Away, now a part of Sykes Pumps’ hire fleet provides a guide. The construction industry has become one of the most stringently controlled in recent years, as the government and authoritative bodies step up their efforts to crack down on environmental negligence. Contractors can no longer discharge polluted water back into watercourses without incurring a penalty, and the guidelines surrounding this practice have been radically tightened. As a result, we’ve seen a sharp rise in companies being prosecuted for abandoning responsibility. Just before Christmas last year, a well-known housebuilder was fined £120,000 for illegally polluting a tributary. An officer visiting the area found contaminated water flowing out of the construction site itself, while water containing high concentrations of silt was being diverted into a nearby stream. Attempts to control the silt run-off were reportedly made, but the use of settlement tanks did not prevent two separate instances of pollution being reported. Samples taken from the discharges in question revealed the full scale of the impact this had had on the water quality, with a testimony outlining that its purity had been affected up to three kilometres further downstream. This high-profile court case is just one example of many in which the Environment Agency has taken action when firms fall foul of the standards expected. There is no longer an excuse for disregarding your environmental footprint – particularly when there is technology readily available to help you avoid the fines and bad publicity that can accompany a conviction. 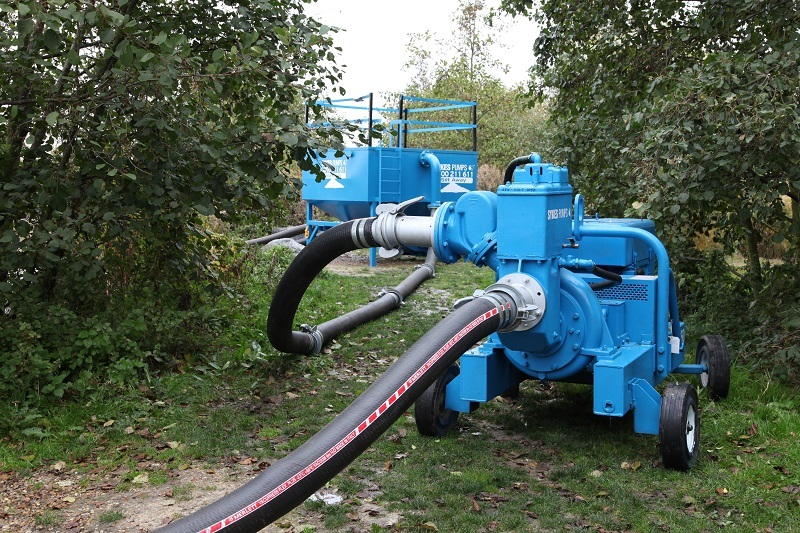 Last year, specialist hire company Sykes Pumps introduced what has been billed as one of the most advanced silt separation systems currently available in the UK. Known as the Silt Away, the unit was purposefully designed to alleviate the mounting pressure that clients are now under to ensure water is as free of silt as it feasibly can be before reintroduction back into a river, lake or watercourse. Suspended solids and sediment can be easily separated from the water, no matter what the source, and this has been made possible due to the Silt Away’s revolutionary design. Pumped water passes through the unit’s special filters via a Lamella plate-box, ensuring solids contained within the water itself can drop into a discharge chamber below. This compartment can then be emptied at ground level – even while the Silt Away is still functioning – rendering them ideal for key projects where uninterrupted operation is essential. Chris Graham, sales director at Sykes Pumps, explained the reasons that led to the Silt Away being added to their expansive hire fleet. He said: “We listened to our customers and have introduced a product that is both safe and easy to use. And they have proven a runaway success so far. 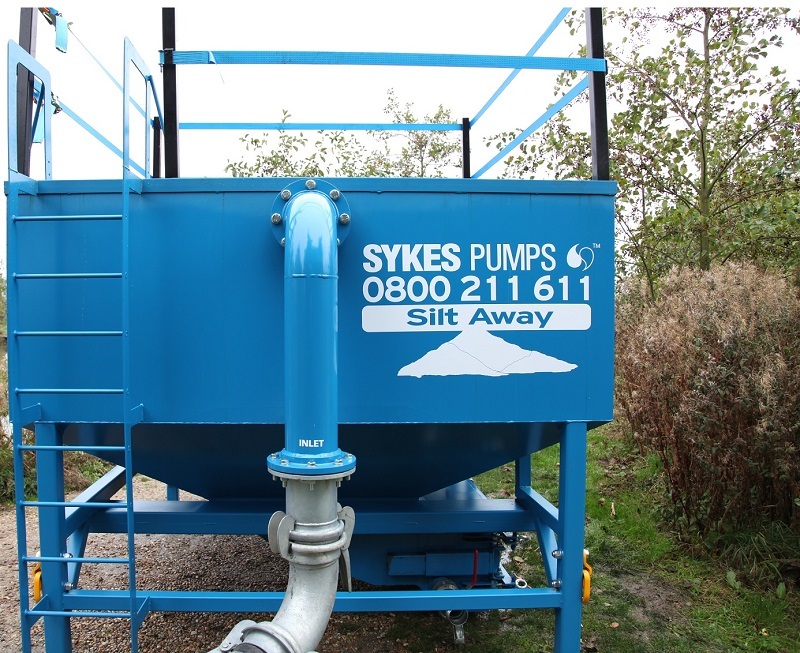 In fact, the Silt Away has been so popular among Sykes’ customers, more units have been manufactured to accommodate demand. Such equipment is now sought after by many construction companies, probably due in no small part to the realisation of the potential ramifications for contaminating natural water sources. At present, the Silt Away is being used as part of a major development at the Butlins holiday park in Bognor Regis. The contractor overseeing the project – a Sussex-based construction company – is responsible for building a new water park on a huge site right on the coast. Once completed, the facility will be the biggest of its kind in Europe. Before works could proceed above ground level, it was necessary for engineers to dig below the water table, with the site’s location being right next to the sea. A suitable well-point dewatering system was set up by a team of Sykes Pumps technicians, who installed two drainer submersible pumps placed within man-made chambers. On another installation, a Sykes GP150M diesel driven pump was connected to a Silt Away unit. To ensure the first phase of the assignment was completed safely and legally, the client was obliged to cleanse the water before pumping it away. All nuisance water pumped from beneath the surface subsequently passed through the connected Silt Away, thus enabling it to be discharged into the main sewer system. This solution enabled those working on site to conduct a dry dig which paved the way for the formation of a concrete base – arguably the most important component of the entire development. In this instance, the utilisation of a Silt Away unit as part of a wider pumping arrangement helped circumvent a number of potential problems. Without it, the client would have been unable to divert water into the sewer, or any other outsource for that matter, as silt and other abrasives would still have been present. Instead, the problematical aspect of the development was solved by the Silt Away’s deployment, enabling the client to have the peace of mind that comes with full compliance. 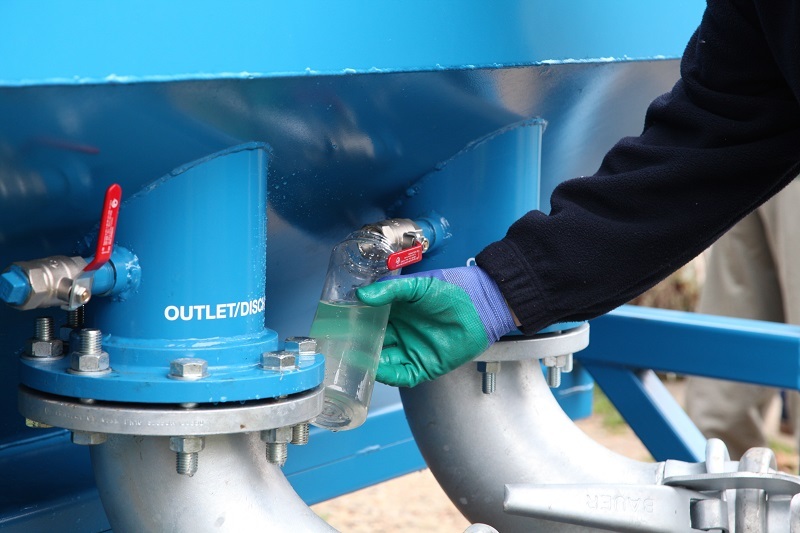 The unit’s suitability for a broad selection of applications combined with market-leading silt separation technology can transform the way companies look to combat contaminated water. Far more than a conventional settlement tanks, the Silt Away sets the benchmark for silt separation systems and is quickly becoming the industry’s go-to product as legislation becomes stricter.